Christmas in Portugal revolves around two main aspects: food and family. I realise this may come as a disappointment to those who expect a Catholic country to celebrate the birth of Jesus with a multitude of religious festivities. I apologise for the inconvenience. Sure, some people attend the midnight mass ("missa do galo", literally, “cockerel mass”). Most of us, however, at midnight between the 24th and the 25th of December, are either asleep or opening presents. 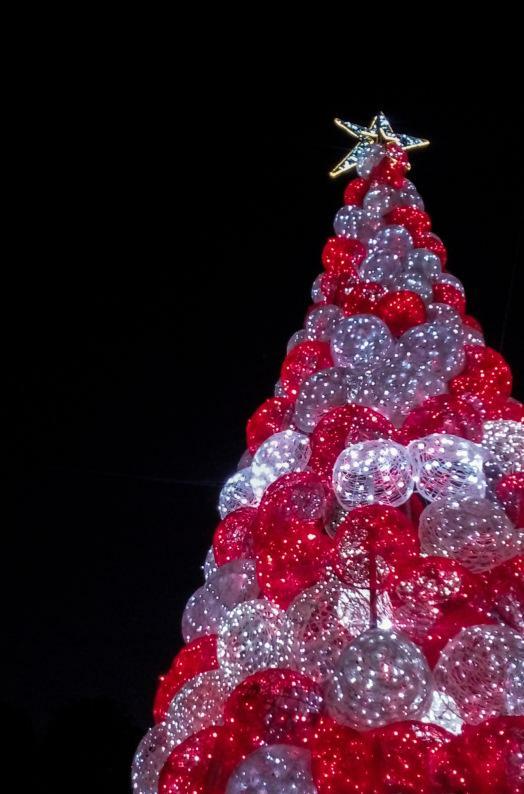 Maybe you live in Portugal, perhaps you’re married to a Portuguese or, who knows, you might just be curious about Christmas in Portugal. Ready to celebrate this season like a true Portuguese? 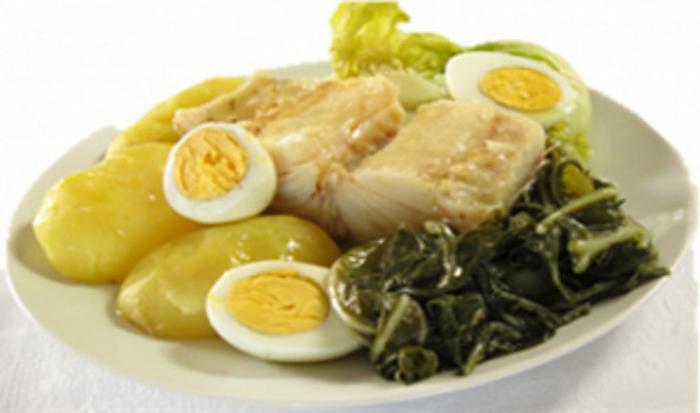 1 – traditionally, for dinner on the 24th, most families eat good old “bacalhau”: boiled, with boiled potatoes, boiled cabbage and an assortment of other boiled vegetables like turnips and carrots. Fun, I know! In the north of the country many families actually eat octopus instead. For the past few years, however, families all over Portugal have rebelled and are now eating codfish prepared in several other ways, like “bacalhau com natas”, “bacalhau espiritual” or “bacalhau à Gomes de Sá”. For lunch on the 25th most families eat some kind of roast meat. Vegetarians often go for tofu instead of codfish in several traditional dishes, like “bacalhau/tofu com broa”. All of this is supposed to be washed down with wine, of course. 2 – save room for dessert! Most Portuguese have a fairly big sweet tooth so prepare to face a table full of desserts. From the more traditional things, like “filhoses”, “rabanadas”, “coscorões”, “arroz doce”, “leite creme”, “sonhos”, etc., to the modern family favourites like “bolo de bolacha”, “salame de chocolate” or the chocolate parfait auntie made using her Bimby/Thermomix, there’s usually plenty to choose from. This is also the time when grandpa will proudly show off his collection of Port and several liquorous wines and fruit liqueurs (perhaps one or two he made himself). Obviously you should drink at least one glass (and you’d better not frown!). 3 – Love it or hate it, most tables will have “bolo rei”. If candied fruit is not your kind of thing I suggest you either pout, eat something else or go for a slice of “bolo rainha” instead. 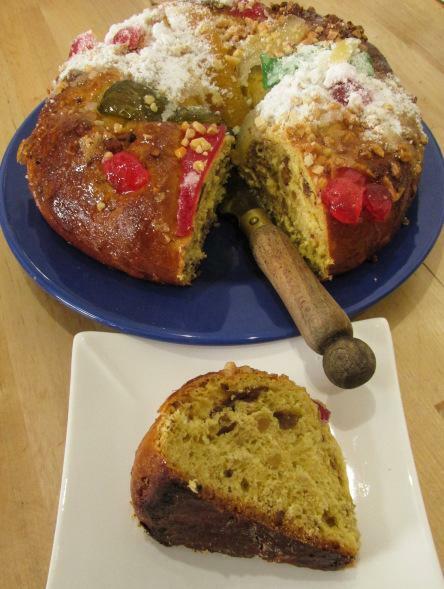 “Bolo rainha” is, basically, the “bolo rei” without the candied fruit and only with walnuts, hazelnuts, pine nuts and/or sultanas. If you happen to share a table with a very traditional family and your mother-in-law/the patriarch/the matriarch/nagging person of the family is trying to force you to eat a slice of “bolo rei” and you happen to hate it… a) you can either refuse it and face being forever shunned from future family gatherings; b) refuse it and have your mother-in-law/the patriarch/the matriarch give you the stink eye *forever*; or, c) put your big girl/boy pants on and just. eat. the. damn. thing. With a smile on your face, of course! 4 – Mother in law? Father in law? Cousins? Aunts and uncles? Grannies and grandpas? Kids throwing tantrums? We have it all – in abundance! 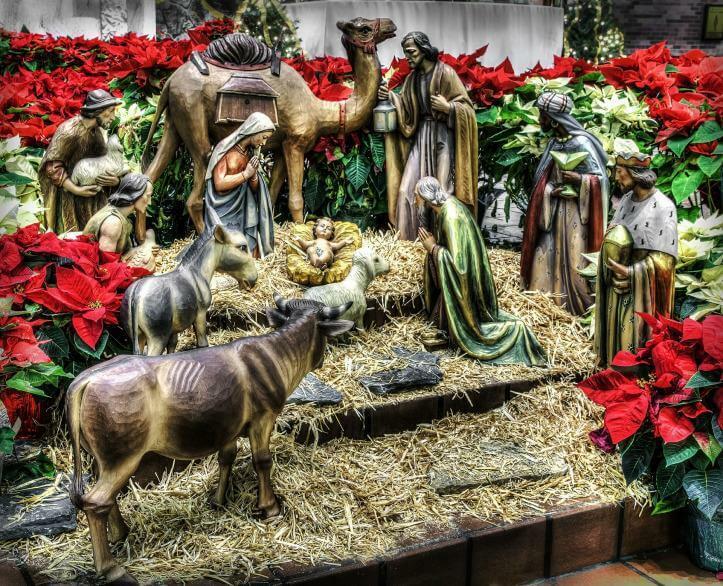 5 – Cities, towns, villages and your Portuguese neighbour will proudly display Nativity scenes. In more traditional homes you’re likely to find Nativity scenes with handmade clay figurines which may include traditional Portuguese characters like the water carrier, the shepherd or, even, a brass band (“banda filarmónica”)! If you find a really traditional Nativity scene in a home in the Algarve, for example, it will probably include oranges (yes, you read that right). 6 – joking aside, this is a time of the year when lots of people visit family in the countryside, which means plenty more cars on the road. It also means people in a hurry to go from one place to another and maybe a little less patience than usual, so please remember that and try to stay cool. Also, don’t drink and drive right? 7 – on a very practical note, please bear in mind that street shops will usually be closed on December 26th and January 2nd. 8 – if you’re spending time with a Portuguese family for Christmas you may come across traditions that seem a bit off, to say the least – like keeping an empty seat at the table for deceased family members or the burning of a big log in the village/town centre (a Yule log, of course!). In Portugal you’ll find many traditions, like these, in which Christianity mixes with pre-Christianity. 9 – last but not least: eat, drink and be merry! Oh, and nobody really likes to get socks for Christmas! Hope you enjoyed this tutorial! Portugalholidays4u.com is an advertising portal for holiday properties in Portugal with a difference. Set up in 2018, and based and registered in Central Portugal, the team hope to provide the holiday home owner and holiday maker a stress free environment and cost effective alternative to the current market. The aim is to provide holiday makers with a new experience of holiday searching. The site will not charge holiday makers any commission fees and will provide articles and information on different areas of Portugal that may not be in the main stream tourist brochures. Holiday home owners can advertise for an annual charge of 30 Euros, with a full page advert and no additional fees. As we are so confident in our approach all home owners will receive the first 6 months free of charge before any commitment is required, we also do not retain any financial details. Your contract ends and a new invoice is sent. The main difference with this site is the regional articles, these are written by bloggers, travel writers or just those with a love of Portugal, if this is you get in touch to be published with a link to your own site. © portugalholiday4u.com. All rights reserved.